I have worked with fifth grade teachers in the past, but I never taught this difficult concept: the phases of the moon. The classroom teachers explained that year after year, many students get confused with the order of the phases. When I first thought about teaching a phases of the moon lesson plan, I got a wee bit nervous. I really did not know much about it! I had one thing going for me: I did know the concept of waxing and waning, but that’s about it! During our first session, I worked with each class in their classrooms during their moo n phase lab. This was a great learning experience for me to see how the students are taught and what they are expected to know. It also gave me some time to really think about how we could teach this effectively through the arts. At last, I had an idea for a phases of the moon lesson plan: groups of students in each class could show what they know about the phases with skits, (live or on video), flip books, or stop motion video. Since there were three different classes, I decided to limit the choices within each class to simplify the instruction needed for each one. One class decided to do one live action play together. They needed to brainstorm ideas, write a script and create all of their props. They included facts about learning moon phases, two aliens and facts about our solar system. It was awesome! The second class created green screen videos. I made a wall and floor of an empty classroom green, shot the video with my iPad, saved it to Google Drive and shared it with the students. They edited it in iMovie and the DoInk green screen app. The result were some cool videos where students were stepping on the moon and acting as newscasters reporting about learning moon phases. It was pretty awesome, and they did all of the editing themselves. 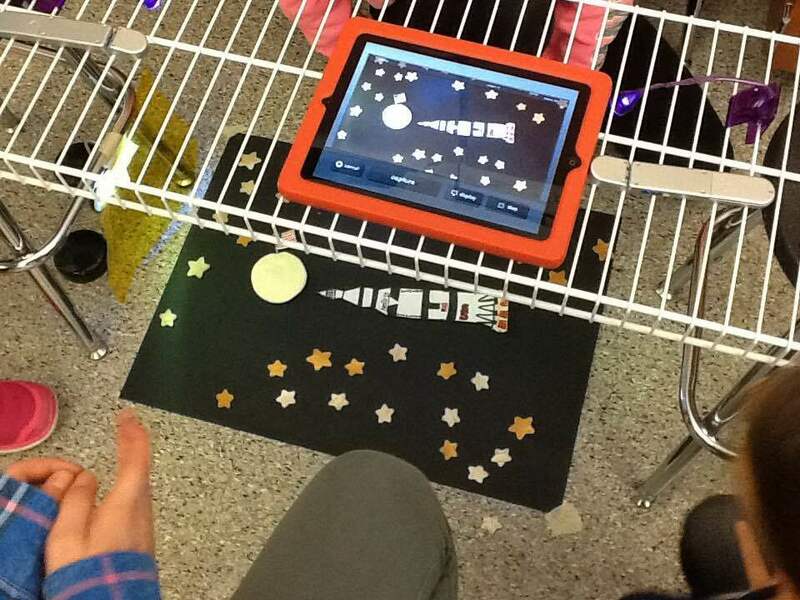 Learning moon phases flip books and a stop motion video were created by the third class. Both of these ideas were a challenge: the flip books required many drawings (more than the students wanted to draw!) 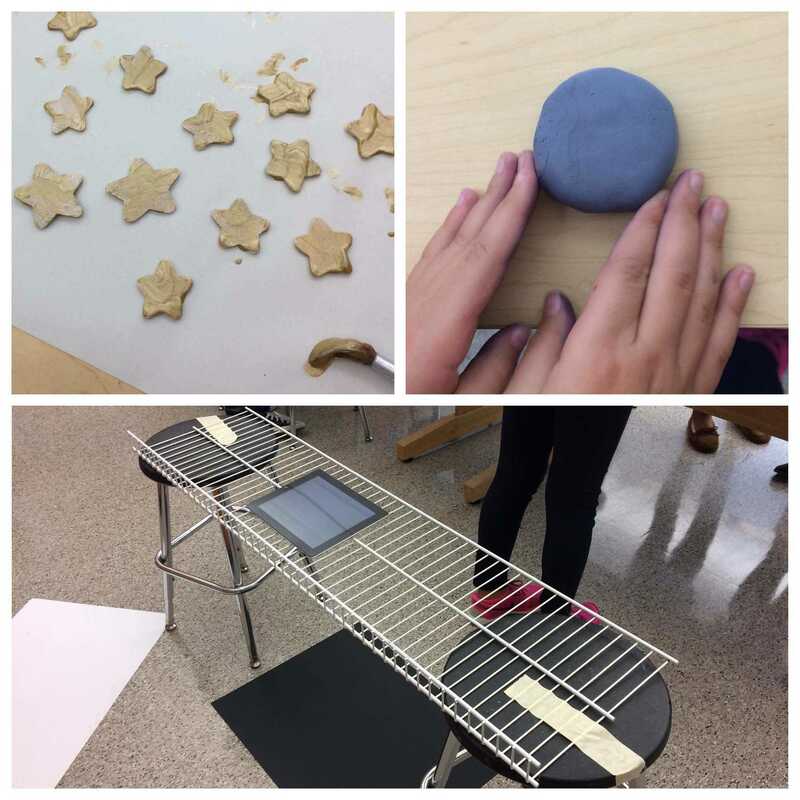 and the stop motion video group needed to create all of their props and solve problems while they were working together. And I learned too! When I look up at the moon now, I can identify each phase and if the moon is waxing or waning. After learning science through art, now I know as much as a fifth grader!